A short trip to Fort Lauderdale. 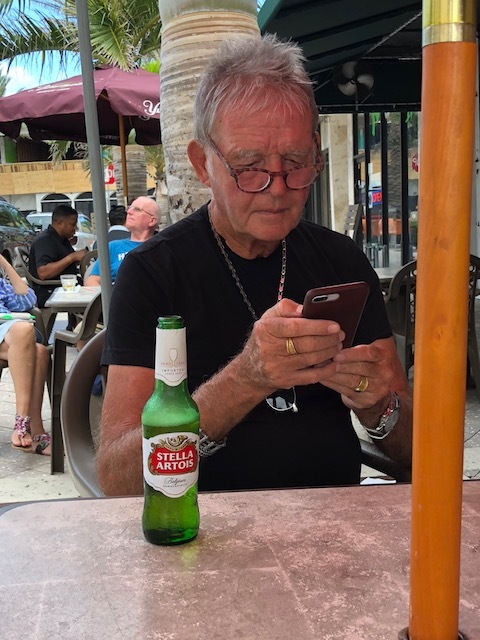 Last week Bob and I took a short trip to Fort Lauderdale – there was business to be done and fun to be had. And of course lots of eating as well – plus a little shopping ! 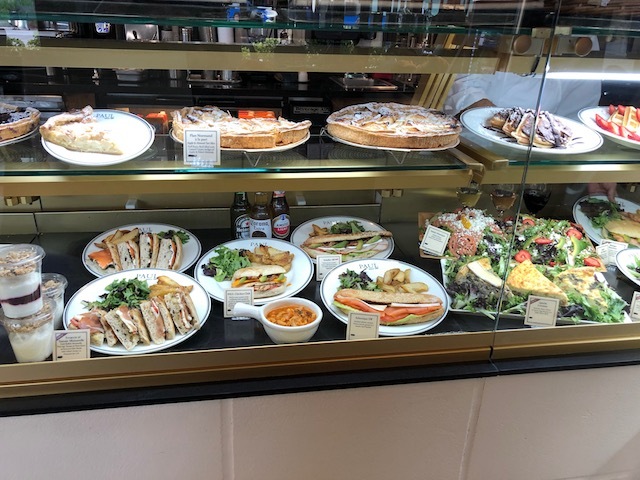 Lunch at Paul – a great French cafe at The Colonnade Sawgrass Mills after a very successful shop in the Theory discount store ! We stayed back at the Sonesta hotel right at the ocean end of Sunrise Boulevard. We have been staying there for a good few years now and it is always a delight to be welcomed back by familiar faces – from the valet parking chaps and the reception staff to the lovely waiters who serve breakfast – they greet us like long lost family and it is a comforting feeling. 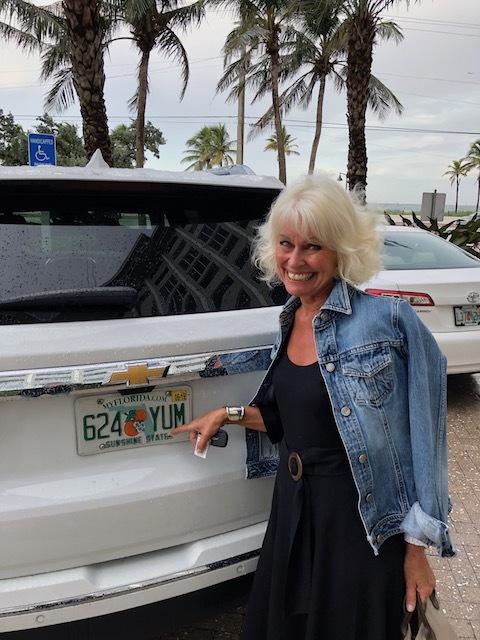 Now how apt is that number plate – our rental car – YUM !!!! Bob always gets a visit in with his wonderful chiropractor Dr David Steiner – usually for a good maintenance treatment for his back, but this time I also became a patient. I had done something to my back by very foolishly lifting a sectional sofa whilst crouched right down on my knees and twisted into an awkward position . 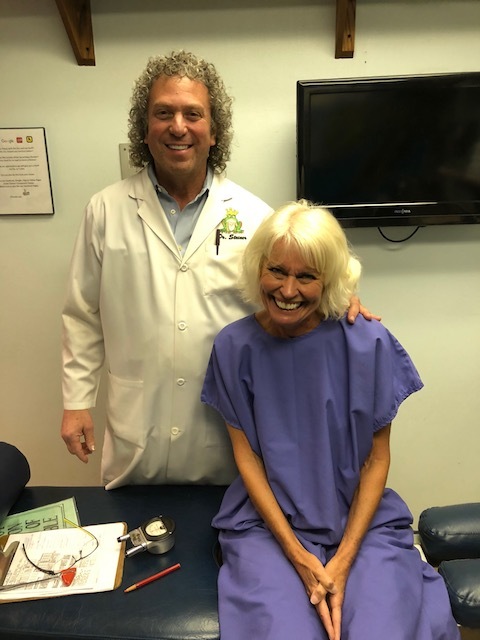 It was not, as I had thought, a muscle pull – which would have gone away in a few days …… Seeing the X rays which Dr Steiner took showed that my back does show a little wear and tear in a couple of places – not quite the totally perfect spine and pelvis I was expecting to see ! Anyway after adjustments on 2 consecutive days I and my back felt much better. Now I realize that I have to be a little more sensible and a little more respectful to my back and possibly have to ask for assistance when I never have had the patience to do that before !! 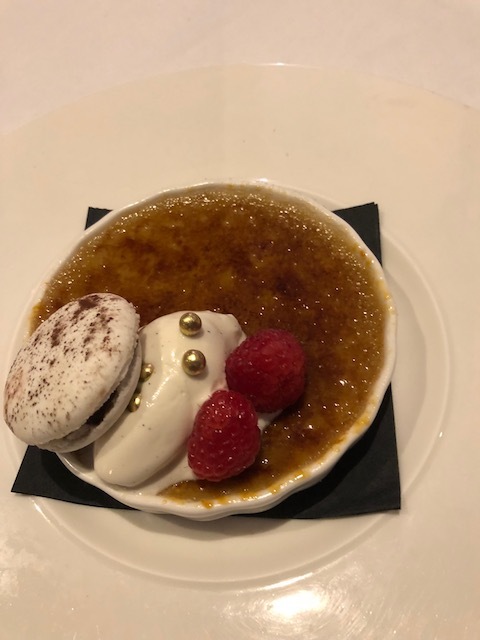 We went to a couple of our favorite restaurants of course – One Door East and Valentino’s and ate delicious food in both spots. But we also discovered a great new Thai restaurant as well. New to us anyway ….. It is in the South Harbor shopping plaza on SE 17th St – and is called Siam House. When we arrived there was a large party of Thai people just finishing their meal – always a good sign to see that – and the food did not disappoint. 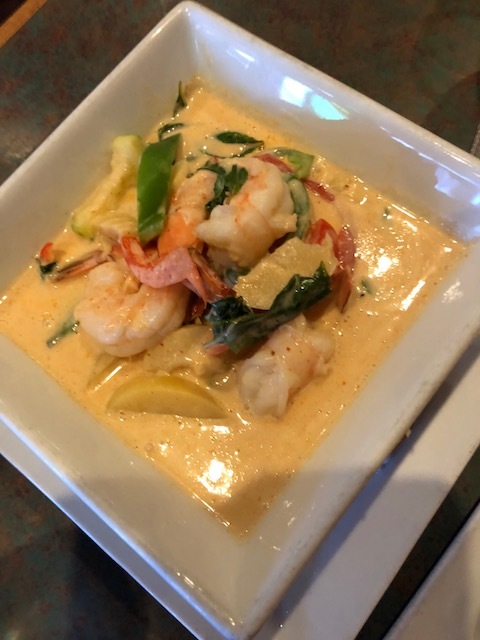 We had a tasty Pad Thai noodle dish and a really good shrimp in red Thai curry sauce. Very sensible ! While we were finishing our food there was a loud thump on the plate glass window – it was a very large duck which had flown straight into the glass – as they told us it happens sometimes – after a few minutes it got up on it’s feet again and then flew off apparently none the worse for it’s ordeal but definitely with a sore head I’m sure ……. The poor duck ! 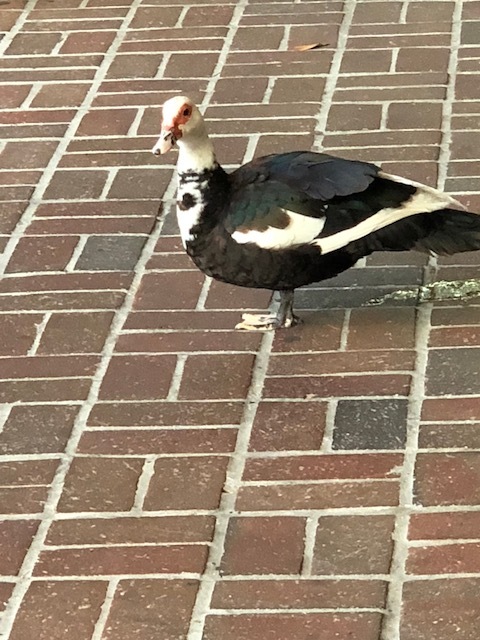 – now I know that you will spot a bit of a mess behind our intrepid duck – but be honest after flying full tilt into a plate glass window wouldn’t you expect that ???? The weather was pretty mixed – one day of pouring rain, some days overcast and threatening rain and a couple of days of glorious sun and steamy hot temperatures ! Lovely to get back home and feel those welcome gentle sea breezes ……. 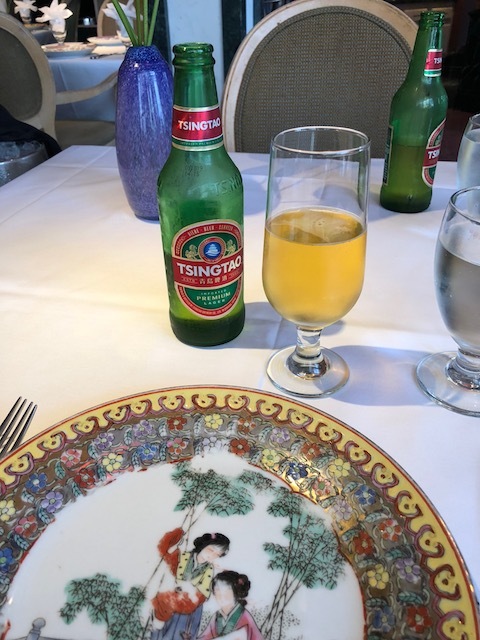 And another great discovery – Tsingtao beer in a chinese restaurant – pronounced tingtow I am told ! Summer’s drawing to a close in Eleuthera……. Thank you! Always a pleasure, Kathy. Loved sharing your little trip. Now you are back at your island home. So fortunate! That’s how we feel – so lucky to be here…… Glad you enjoyed it. Well spotted – no Ikea at all on this trip – amazing ! Even the woman in one of our favorite restaurants asked if we had been to Ikea !! 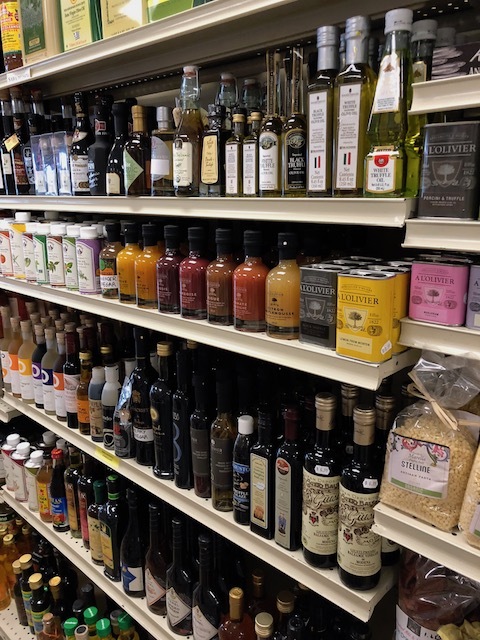 Bob is still in shock…..
Had pad Thai last night in Hartford right after MY fab chiropractor and massage, and thanks fo the reminder: gotta go back to my local Indian store to get curry paste! I just LOVE pad thai ! sounds like the trip got off to a good start ……. Have fun…. Ha ! – since when did you get so squeamish !!!! I had ONE TRUE Pad Thai. In Myanamar. 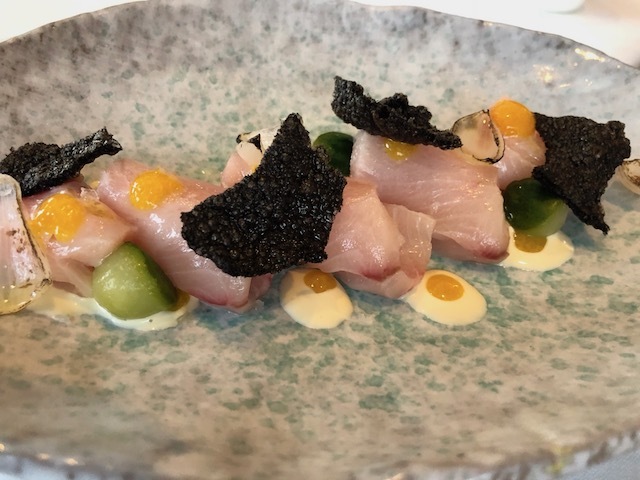 Ever since, I hold this dish in my heart. I am spoiled now, as even NYC Thai places (many exceptional) pale to that Myanamar rendition. And now you had to poop on my sacred memory. Isn’t that the story of life – people who poop on your sacred memories !! !